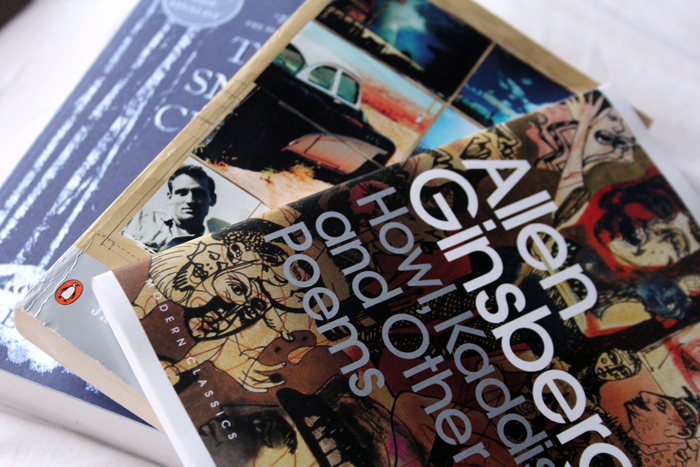 Even though it seems that Amazon and I (& the rest of the world I think) have very different views on what a second hand book in 'very good' condition should look like, there are few things that are better than new books when you're in need of a little escapism. 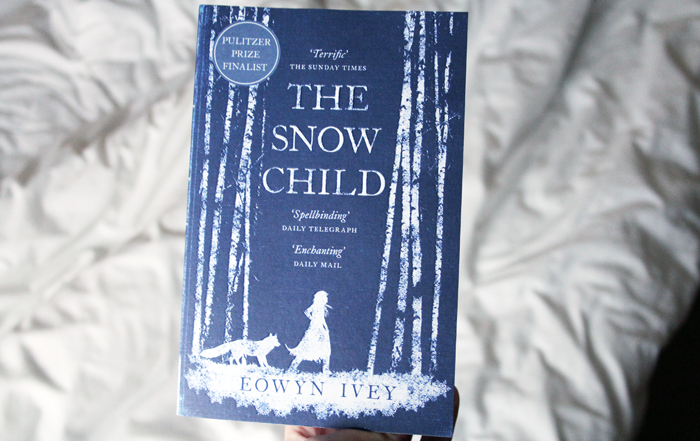 Over Christmas week I want to make time read more than I've been able to recently and I decided to treat myself to a copy of The Snow Child, which has been at the back of my mind for a little while now. I deliberately haven't looked into the story too much, but I know a little bit about it and I think it's going to be an emotional read. Along with my love for children's literature and contemporary reads, I want to start looking more into modern classic texts as well. 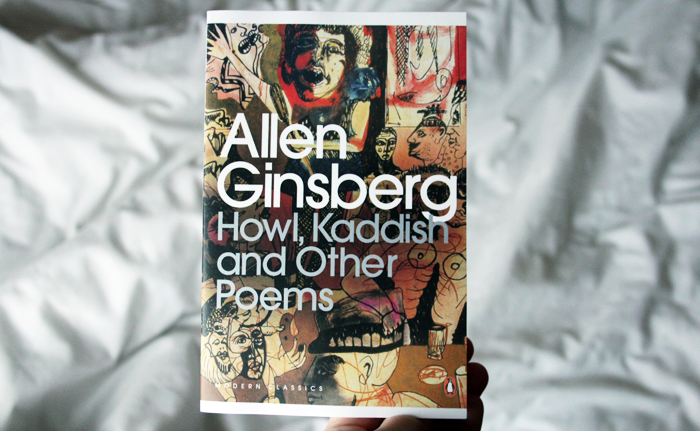 Kill Your Darlings, a film I'm hopefully going to see next week, has kindled my interest in the beat generation so I bought a copy of Howl & Other Poems by Allen Ginsberg and a second hand copy of On The Road by Jack Kerouac. 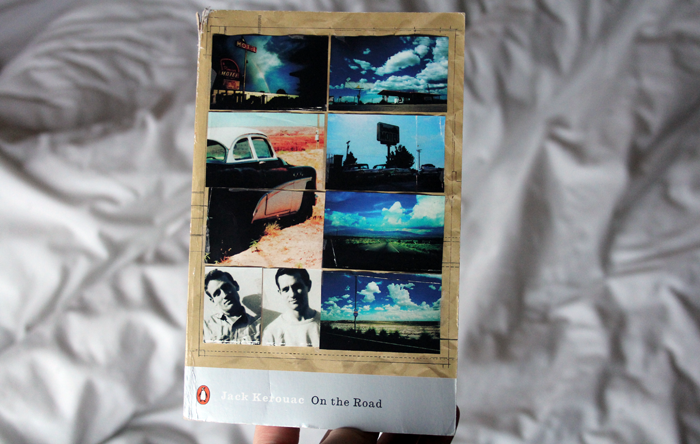 The front cover is pretty much falling off this copy of On The Road but it was only a couple of pounds so I'm not going to faff around returning it. If I like it then I'll invest in a new copy, but I think it's one of those love/hate reads so I'm looking forward to seeing which side of that fence I belong on! 2. Social media done well! Social media is something that's really difficult to get right, but I've been seeing some really cracking examples recently. This Waterstone's blog post about O.W.L.S is genius as are the comments, so many laughs! The Penguin UK twitter page is a good one to follow, I especially liked this tweet from when 'selfie' was named word of the year - I think they did well, all flippers considered! To promote Hogwarts At Christmas the Harry Potter Studio Tour have been giving away Christmas gifts for the past few weeks over on Twitter. Essentially I tweeted them constantly whenever they asked a question & were giving presents to their favourite tweets until they took pity on me & owl posted something my way. Not going to lie, it was one of the best parcels I've ever opened! I haven't had the pleasure of experiencing Hogwarts At Christmas, but I'll be there next year with my Gryffindor Scarf, ready to see the Great Hall looking especially festive and to spot the miniature snowmen around the model of Hogwarts castle itself. Maybe we could have some kind of blogger excursion?! It's finally Friday and even though the weeks are zooming past (so much to do and not enough time to fit it all in!) for some reason these last couple of days have gone very slowly! There's one thing keeping me going today, the hot bubble bath, cosy pyjamas and candles waiting for me tonight. 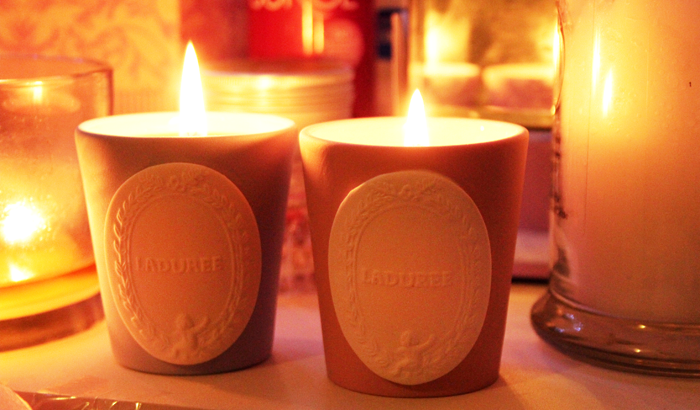 I just wanted to quickly mention these candles* from Ladurée. They were gifted to me by Harrods and unfortunately they're currently only available as part of this hamper (incidentally if you're looking for a gift for someone who seemingly has everything but really enjoys their food/treats/wine, hampers are the way to go!) but if you can track them down online somewhere or in store, I highly recommend them! The china pots are so beautiful and as you'd expect from Ladurée, the scents are stunning! 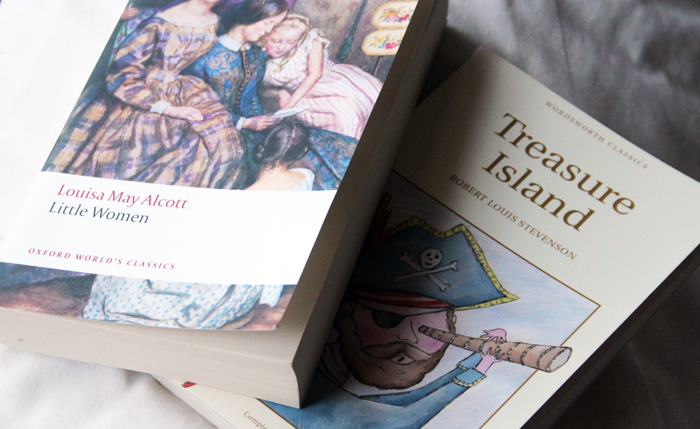 Any less than favourable feelings I felt towards Little Women and Treasure Island as I was attempting to construct a somewhat convincing essay about them, have entirely disappeared since I got my result earlier in the week. Somehow I ended up with 88% which I'm absolutely over the moon with and I'm so happy that my work is paying off, especially within a subject I love so much. It's also spurring Carly & I on with our Violet & Ted project. We have a miniature Christmas story that we'll be sharing with you soon, with some truly beautiful illustrations from Carly. That lady is so incredibly talented and I'm so happy to be collaborating with her on something that we're having a lot of fun with. This little guy was sitting on a shelf in Tesco looking very lonely last year, until I saw him and had to bring him home. He cost less than £1 so I couldn't resist! I tucked him safely away at the beginning of the year and I'm pretty excited to have brought him back out again this year. I'm such a sucker for anything miniature! Do you have a current favourite blog? I'd love if you left a link in the comments if so! I love Jack Kerouac - I think you will too! Ah Jennie thank you so much for including my blog in your favourite reads! 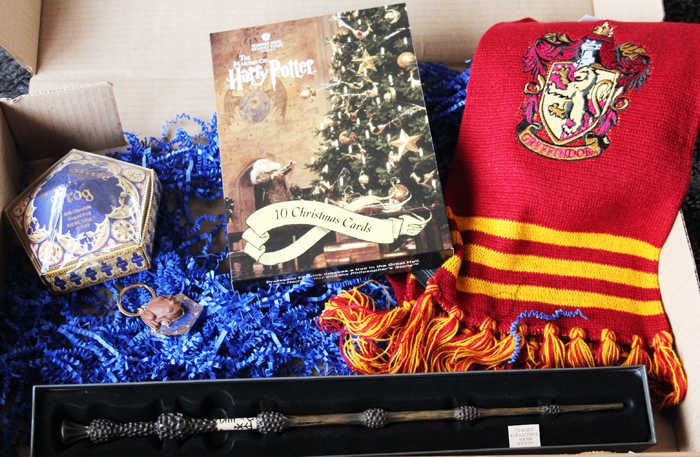 You've made my day :) Your Hogwarts at Christmas gift looks amazing. Childhood excitement wrapped up in a box right there! I'd love to to go this Hogward theme park thingy! Oh, books books books. I have so many to read and review, I can't wait to get them all finished if I manage to have some relax time over the festive break. package from Hogwarts is amazing! I've been super jealous of posts I've seen of Hogwarts at Christmas, I'm hoping I can make it next year. Awww, how cute is that Xmas tree!? Congrats on the awesome essay result! I was reading Treasure Island when my Kindle broke earlier this year, I should probably invest in the real book. Sooo excited to read/see your secret project with Carly! This post is so much fun, Jennie May! I absolutely love that you've been reading so many books lately - I just finished reading Kate Bett's "Every Day Icon" and am now reading a new book called "The Book Thief." You'll have to let me know how your books go (: Also, I absolutely love the Hogwarts present you received! As a huge Harry Potter fan, I would love to go to Hogwarts around Christmas and getting all those amazing goodies would make the experience even better! Pretty much squealed like a small child when I opened it! You have some really good reads there, I hope you had fun reading them and didn't get too bored writing about them! Aww, congratulations on your essay result Jennie- well deserved! Also very excited to hear more about the miniature Christmas story, it sounds so cute <3 A cosy Friday night with candles is a must at the moment, it's too cold not to! This is such a sweet post! I love the Harry Potter stuff, and your little Christmas tree is the best! The Snow Child is next on my reading list - can't wait! Good work on the Harry Potter gifts , hope you enjoy Hogwarts at Christmas!! But anyways, I just love books, I'm terrible at reading them though but there is something about them that makes me feel good?? I really want to improve my readings this year for sure. 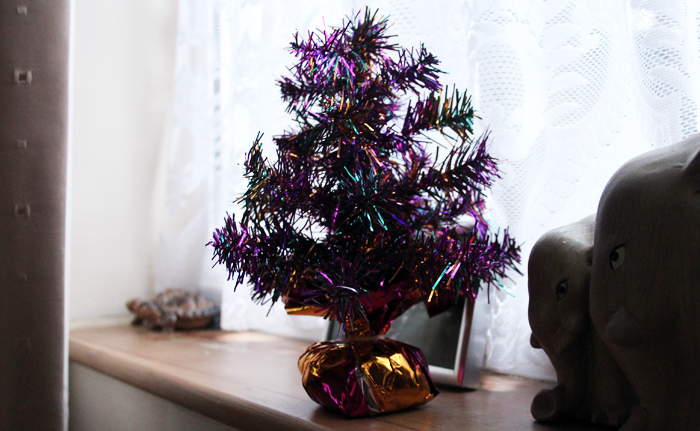 And that little tree is really nice, especially for the bedroom or the smaller rooms where you can't fit a big tree. Oooh the candles look like they smell sooooo nice! Tesco is good for everything! Christmas trees included! Happy Holidays and I need to add things to my reading list, thank you! ahh i love this post. it has such a festive feel to it! I hope you're having a lovely weekend Jennie! I have just started reading 'The Snow Child', be interesting to see what it's like. Well done on your results too. I read Little Women a long time ago, I really quite enjoyed it. I absolutely love On The Road. Always have. I also have zero intentions of ever watching the movie that was made of it. I really enjoyed the Snow Child (it was a book club read for me so I hadn't picked it myself), although I hated On the Road. Congratulations on the essay result! Ahh all that Harry Potter stuff!! Love it!